Below you will find our gift box options that consist of items from past PufferBox shipments. Remember, you can also purchase any of our subscription plans and select the gift option. The recipient will receive an email with instructions on how to redeem their gift! 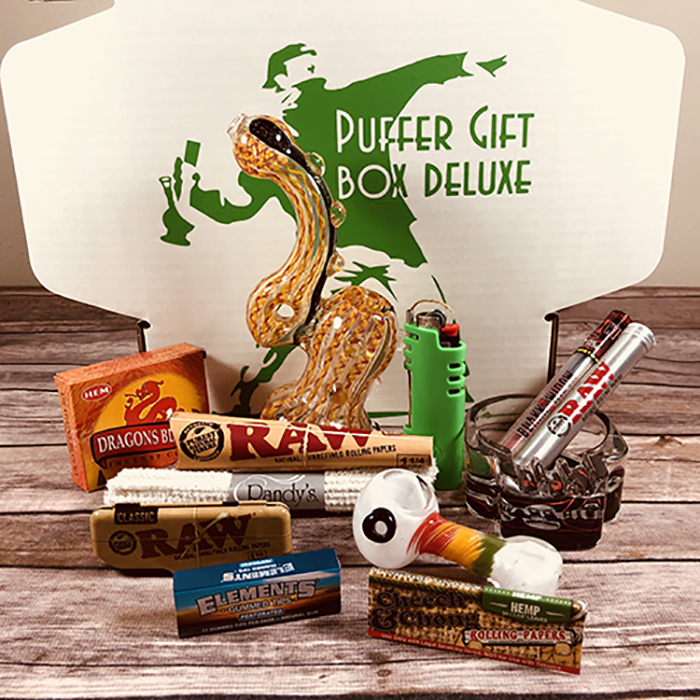 The Puffer Gift Box Deluxe ships with a dozen items including a premium glass piece, a bunch of accessories, and of course, some munchies! The PufferBox Summer Pack ships with four items! 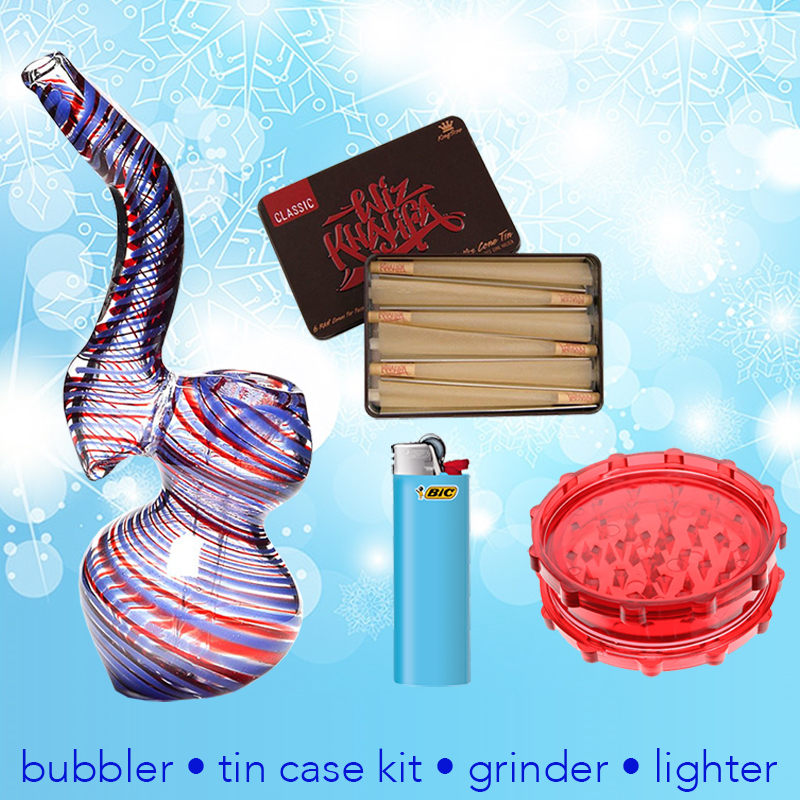 A gorgeous bubbler, a full-size Bic lighter, an acrylic grinder, and a Wiz Khalifa tin case with pre-rolled cones!